Yeah, I'm done with Zoisite's story, all that is left now is Kunzite's and the Dark Kingdom's fate, and that will be shorter. 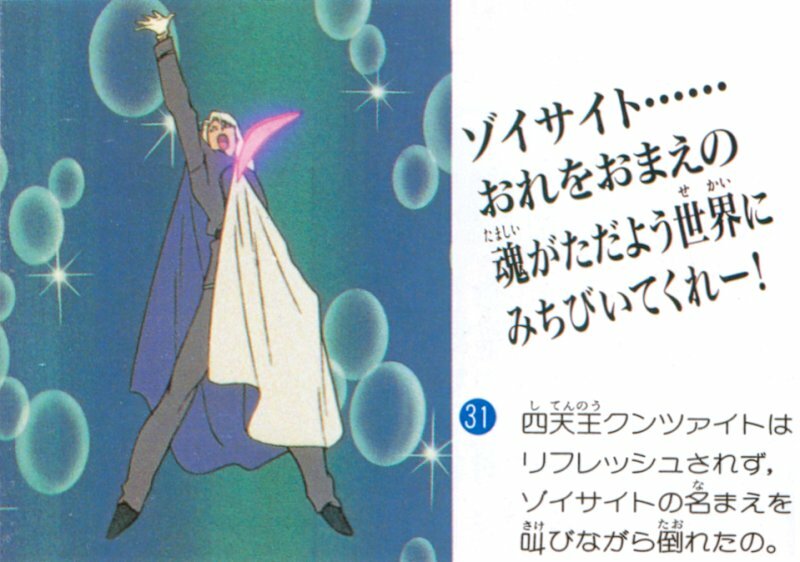 During the following episodes (certainly not the best if you ask me), Kunzite will try in various ways to get hold of the Silver Crystal, most usually by trying to capture Sailor Moon. And that always fails, no matter the youma he sends after them, or how clever are his plans. Actually, they're supposed to be clever, but they rather look uselessly complicated. But they can't work anyway, as each time he *might* win, Endymion (aka Tuxedo Kamen), who's been brainwashed by Metallia into a faithful servant of hers, steps in and "accidentally" ruins it all. Endymion *really* is brainwashed and serving Beryl. 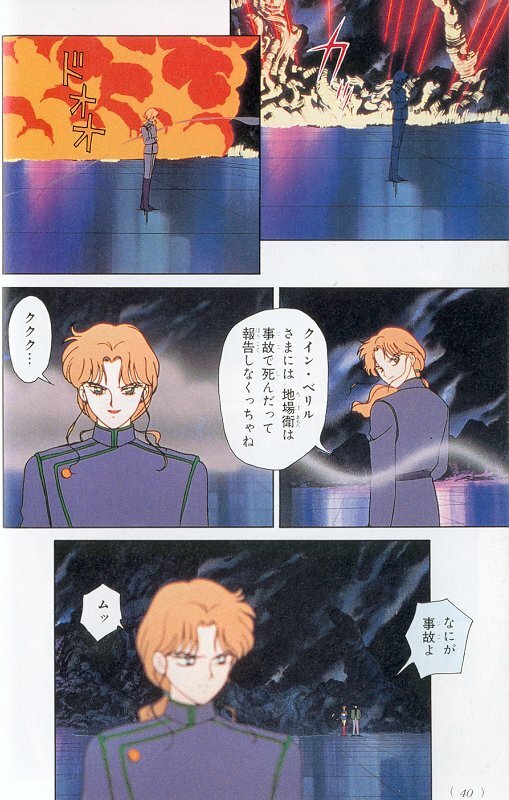 But obviously, even then he managed to keep hating Kunzite for some reason, a feeling returned, since Kunzite can't forget that it's his fault if Zoisite died. 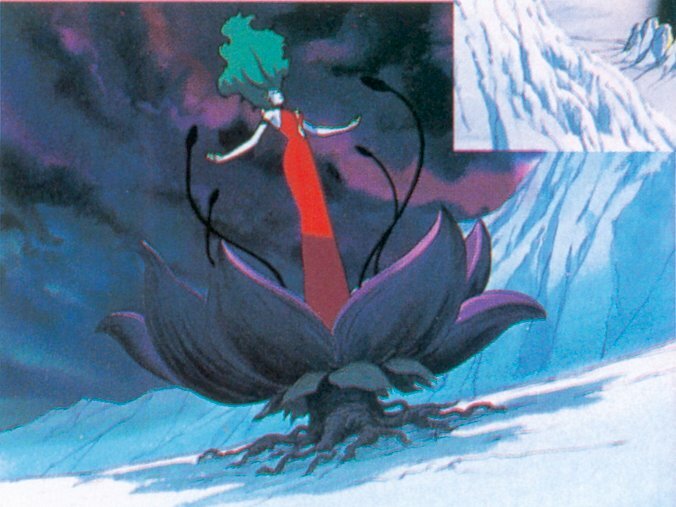 And because Queen Beryl wanted him, she gave him a power in the Dark Kingdom that rivals Kunzite's own, something he can hardly forgive. Eventually, the Senshi decide to attack the Dark Kingdom, and they find a kind of "backdoor entry" in Motoki's Game Center. They sneak in, and in the caves stumble on Kunzite, who casts a spell at them that's supposed to send them in limbo, could virtually send anywhere or any_when_, with no hope of return. Kunzite should have been able to grab the Moon Stick - and the Silver Crystal on it - at this point, but the damn item moved back to follow Sailor Moon of its own device. Since they're the good guys and they have a damn luck, they actually end up in the Moon Kingdom just before it was destroyed. They witness, then, the last attack of Earthian forces, how Beryl killed both Endymion and Princess Serenity, and how Queen Serenity decided to use the Silver Crystal to seal Metallia away and give a second chance to her daughter and her friends. Meanwhile, Artemis and Luna have reached the end of the tunnel - uh? And what was Kunzite doing all this time? Oh well - and are now... in a snow storm, not far from the North Pole. They walk a long time and finally find the real entrance to the Dark Kingdom. But Kunzite stops them. All the Senshi memories are revived by this, and they come back... where Kunzite is fighting with the cats (... well, yeah, like if it would take him more than a blow to kill them, really, they're powerless). Very surprised to see them back, Kunzite attacks the Senshi. 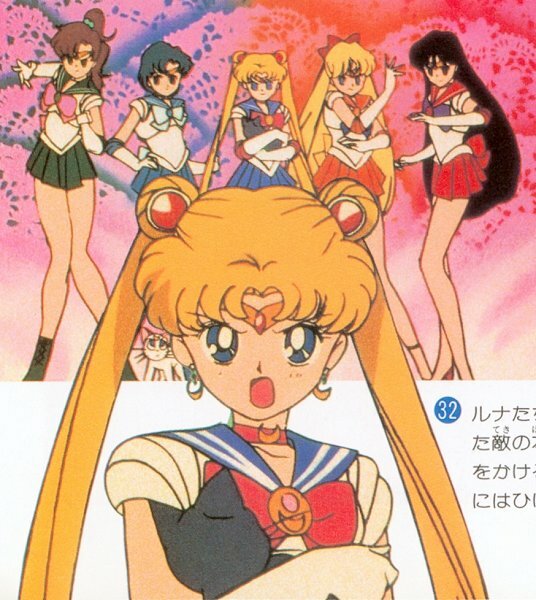 They gather around Sailor Moon to protect her from his energy boomerangs, not to much effect, until she holds up the Moon Stick which shields them. 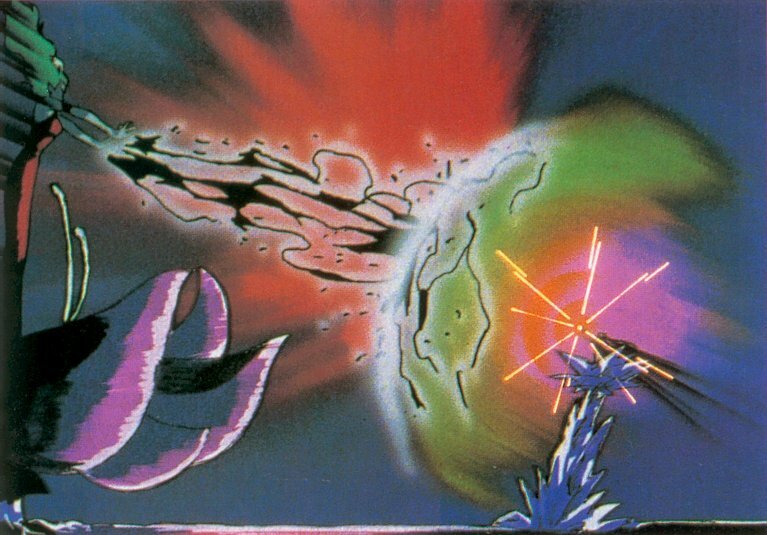 Doubting she really has the power to resist him, Kunzite sends his boomerangs again, which she sends back with her Moon Stick, and they hit him in the chest. He dies, shouting something like "Zoisite! Bring me to the world where you are!". Oh. You want to know what happens next to the Dark Kingdom? Well, as far as I remember, the Senshi go back there, the 4 Senshi are killed, Endymion awakes and kills Queen Beryl. Sailor Moon fights her with the power of the Silver Crystal, helped by the spirits of her friends. She apparently wins, and the world goes back to normal : everyone (the girls and Mamoru) having lost their memories, and Mamoru and Usagi don't even remember they knew each other as humans.